On March 10th 2008, a group of monks staged a demonstration in Lhasa to mark the 49th Anniversary of the 1959 Tibetan uprising, the protest ignited a series of massive anti-China demonstrations across the Tibetan plateau. The protest came as a shock to the Chinese government who have always legitimized their occupation of the land of snows in the name of ‘liberating oppressed serfs’ of Tibet and ‘bringing modernity’ to the people. If there is any validity to the Chinese government’s claims, one only needs to ask a simple question, after nearly 50 years, why are “liberated serfs” revolting against the liberators? The protest is a clear indication of the rejection of the liberator’s rule and shows that even after five decades, the Chinese government has failed to win the consent of the Tibetan people who remain utterly opposed to Chinese rule. The Chinese government’s response to the demonstrations was to adopt repression and arouse nationalist and jingoistic fervour amongst its citizen by portraying the Tibetans as terrorists and agents of foreign powers who are bent on tarnishing China’s image. The Chinese government’s policy and jingoistic attitude of its citizens did a great disservice to China’s image by demonstrating a malevolent aspect of rising China. The Chinese government tried to control the media image of what was coming from Tibet and closed the region to international media. In China, the government created carefully crafted images of violent protestors and cleverly changed the significance of the date to 14th March, the previous four days of peaceful protests were erased to highlight the violent nature of the demonstrations. This was a cunning way to portray itself as the victim of unprovoked aggression. Similarly, we have seen how after 9/11 the American government showed itself as the victim of one of the poorest nations in the world and unleashed its war machines on the people of Afghanistan. For China, a memory that is being constructed is of the violence and image of ungrateful natives. There is no attempt to understand what causes such resentment and hatred for the Chinese state. The record of the events that engulfed the Tibetan plateau is crucial to a proper understanding of what happened. 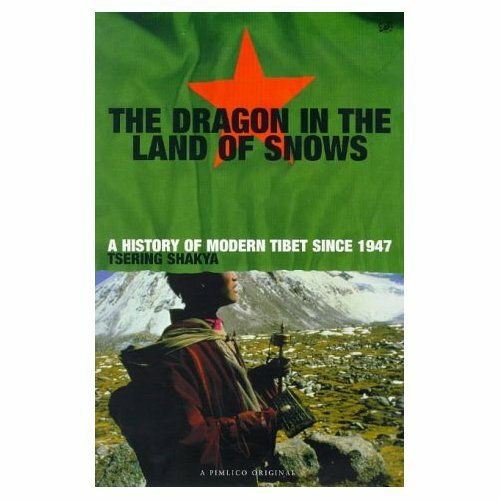 For the Tibetans this is of crucial importance, it is a memory stored in the minds of the people that keeps a nation alive. If the Tibetans’ memory of March 1959 were not carved in the hearts and landscape of Tibet, there would be no one to protest today. Tibetans the world over memorialize this date to voice their pain in losing their nation and to proclaim their existence as a people. The events of March 2008 created a new memory and it will be narrated from generation to generation. Today, memory is no longer hidden in the deep recesses of our mind but advertised in cyberspace to share with the rest of the world. In this respect Woeser occupies a unique position as chronicler of modern Tibetan memory. 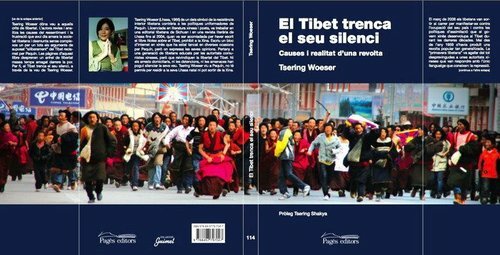 As soon as the demonstrations erupted, Wosoer’s blog became the voice of Tibet. While Tibet was closed and information was hard to obtain, her blog was one of the main sources of information. During March and April 2008, over three millions internet users visited her blog and her updates were translated into numerous languages, offers to translate into different languages were posted by readers on her site. The daily information detailed in her blog was meticulous and the richness of the details of her information reflected her own standing amongst the Tibetan people. People from all over Tibet sent reports to her as though she were the official chronicler of the momentous events. For us living outside, reading her blog was sad, yet at the same time confirmed the tenacity of the Tibetan resistance and we were grateful to her for being there to record the events. Future historians may dispute the accuracy of the reports but one has to remember the record was compiled in the heat of the moment, under severe restrictions and with danger to herself and her informants On the one hand we judge her for the accuracy of her updates but on the other hand, the most important judgement should be on Woeser herself, her character and her courage. It is not easy to bear witness and to write for those living under an authoritarian regime. It is her courage that is to be most admired. A person’s quality is measured not by what one does when one is free and faces no consequence but doing what has to be done despite the consequences. For Woeser, her actions have consequences and she is willing to pay the price by living under the preying eyes of the Chinese security apparatus. As I write this, I learned today of the death of Alexander Solzhenitsyn, who exposed the brutality of Stalin’s Russia. As a schoolboy, I was deeply moved by reading his writings and his proposition that the truth is more important than the consequence made a deep impression on me. Woerser’s writings are speaking the unspeakable and noting what is hidden. The Chinese government and her distracters argue that her writings only reflect the negative and bad aspects, and have nothing good to write about modern China. The human story is not composed of merry making but punctuated by horror. It is only powerful and despotic rulers who want to hide horror and it is the duty of courageous writers to speak of the unspeakable and lift the veil from the dark comers where horror is hidden. For this, Woeser is a true intellectual and courageous writer. We admire courageous intellectuals not for their beauty or manners, but their venturous sprit. The Chinese government’s assigned role for writers and intellectuals is one of a praise singer and court jester, who will shower the government with flowery words and impart crafted truth to the masses. For those who observe the ascribed role, life can be good and they can enjoy comfortable living. But for those who dare to stray from the role, life can be torturous. Woeser could have chosen to lead a comfortable and privileged life as the editor of the Chinese language edition of Tibet Literature (Xizang wenxue), a magazine which is meant to show the new Tibet. In 2004, she was removed as the editor as she refused to self-censor her writings. In China today the biggest obstacle to creativity and the arts is self-censorship. Every writer or artist clearly knows the limit of the Party’s tolerance and they write accordingly. For people like Woeser, toeing the party line for the sake of an easy life is intellectual prostitution in service of an authoritarian regime. Woeser came from Tibetan parents who joined the PLA with hope of bringing progress and modernity to Tibet and for the Tibetan people. As a child she was brought up to love the Communist Party and to see the Party as the saviour. She enjoyed a good education as a child coming from a clean family background. The Party had envisioned a child such as her in an important role, as a native Tibetan raised in the bosom of the Party. Life could have been one of privilege and acting as a faithful servant of the Party. The demonstrations in March and April showed that those who are born under the Communist stars do not feel grateful to the Party and they have, in fact, become the severest critics. Almost all those who marched out to protest are from the generation that were born after the so called “liberation”. This in itself is an indication of the Party’s failure to win over the Tibetan people. For the Communist Party, Woeser’s writing is like Caliban’s curse. She writes defiantly and her knowledge of the language is used to speak back the truth. This is precisely the reason why Woeser’s writings are troublesome for the Chinese government. She is the voice of a native, who they look down with and despise as uncivilized. Woeser came into prominence through her essays and vignettes of lives of Tibetans. These portraits present the complex lives of the Tibetans, their fears and anxiety and most of all their deep faith in Buddhism and identity. This was not an image the Party wanted, the official images of the Tibetans are supposed to be a happy and singing colourful minority, forever supplicating the Party. She is also an accomplished poet and her poems speak of her own search for the native land and its people. Her poems are about dispossession and longing to her nourishment of her native soil. Most of all Woeser came to be known as a fearless blogger, a 21st century phenomenon in the age of cyberspace. The internet has been a double edged sword, while it has been a democratising and liberating medium, at the same time it is a truly global prison, where the authorities can track every key stroke as our thoughts are translated onto the computer’s blank screen. China has the second largest number of internet users in the world, China’s netizen have become a powerful force of mobilisation for good and also a destructive tool of the State in bullying non-conformists. In China, netizens have been both critical in exposing corruption and spreading news that the government wants to erase. The ease and widespread use of modern technology has meant that the government and powerful media empires no longer have monopoly over the dissemination of information and images. Every citizen with a mobile phone can capture images and transmit through cyberspace and every literate person can post his or her opinion in internet forums. The news is no longer mediated by powerful media organisations; blogging has provided an unedited voice for the people. This free flow of information has been a problem for the Chinese government and today internet users are the target of new forms of government surveillance and launched what one writer called “China’s Guerrilla War for the web”, where internet users known as Fifty Cent, are paid by the government to post pro government line on internet forums and chat rooms. Another ugly element are cyber nationalists, who hack blogs and websites they deem to be anti-Chinese. On 28th May a group known as “the Red Hackers Alliance”, destroyed Woeser’s blog and managed to enter her computer hard disk, the hacker stole the contents from her computer. Woeser’s blog was replaced with the red five stars of the Chinese national flag and hackers boasted of their skills by posting her private photos stolen from her computer hard disk. Woeser faced constant struggle in writing her blog, the Chinese authorities keeps tight surveillance on her movements and, on the internet, Chinese cyber nationalists have hacked her blog and destroyed it several times. Despite all the difficulties she faces, Woeser has been fearless in her writing. She sees her task as spreading the truth and as a writer in Chinese language, she see herself particular responsible for writing to Chinese readers about the situation in her native land. As noted earlier, her blog attracted over 3 million hits over three months and provided a forum for Tibetans and Chinese to engage in debate in. Such forums are critically important in the current situation. The ease of technology has a direct bearing in the recent protests in Tibet, in the past the government controlled the flow of information and protests can be erased as though it had never happened. The news of protests in Lhasa on March 10 spread like wildfire to every valley of the Tibetan plateau. The physical borders are blurred. Woeser was one of the recipients of news and information sent by Tibetans. She meticulously sweeps through the SMS text messages she had received to provide a detailed account of events in Tibet. Blogging has become a powerful tool for individuals and it’s no wonder the Chinese government fear unfettered expression. The big media institutions and state controlled media are distrusted by the public and maligned by critics as serving vested interests. A lone blogger is only restricted by his or her own capacity and has a voice that could be read by millions of people with a click on a computer. Blogging has created a space that is free from market and the state. It is not surprising that China has the largest number of bloggers, there every citizen knows that state media cannot be trusted and creates a thirst for information. Despite China’s state surveillance and restriction of cyberspace, Chinese citizens have adopted blogging as a means of telling their stories. Therefore, the government created a ventriloquized voice through cyber-nationalists and Fifty Cent, camouflaged as an ordinary citizenship. Critics of Woeser will accuse her of being selective and that her views are just an individual voice, not reflective of the general situation. But it has to be remembered that a lone voice is often the one that dares to speak the truth, like the child who pointed out that the Emperor is naked, while the rest silently participate in the masquerade.